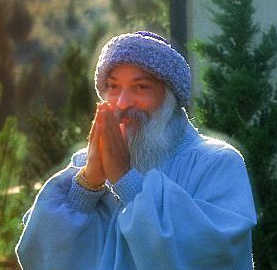 Osho was born in Kuchwada, Madhya Pradesh, India, on December 11, 1931. Rebellious and independent from the very childhood, he insisted on experiencing the truth for himself rather than acquiring borrowed knowledge from others’ belief systems. “Freedom” means freedom from the mind. Then you are simply in a silence, and in that silence you melt, you merge with the whole. And to melt and merge with the whole is to be holy. Not by fasting, not by torturing, but by becoming one with the whole, one becomes holy. Your freedom is a supreme value. Nothing is higher than that. But your freedom is possible only if you are not encaged in your habits, unconscious patterns of living. Change your gestalt from unconsciousness to consciousness. This entry was posted in Who is Osho. Bookmark the permalink. Live your passion, reshape your destiny, reclaim your spiritual life, and create an exciting future. Now is the right time, here is the beautiful place, and you are the right one to make it happen.